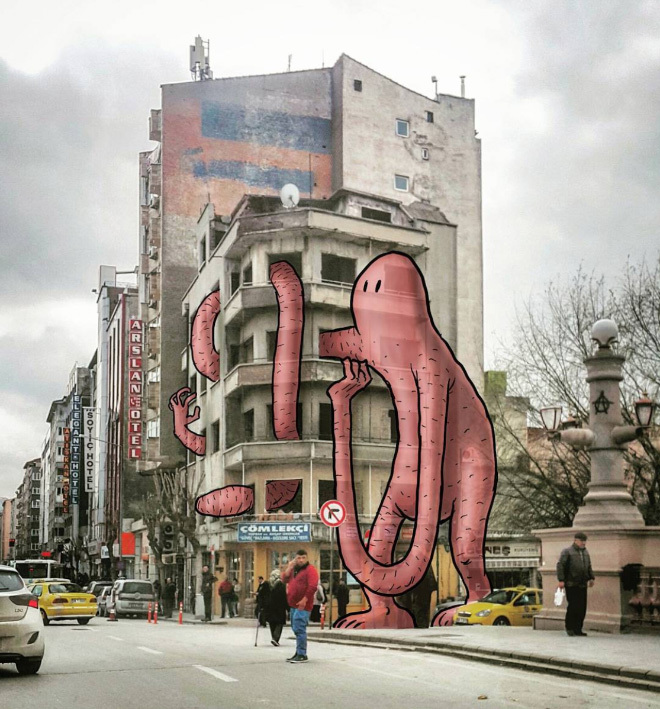 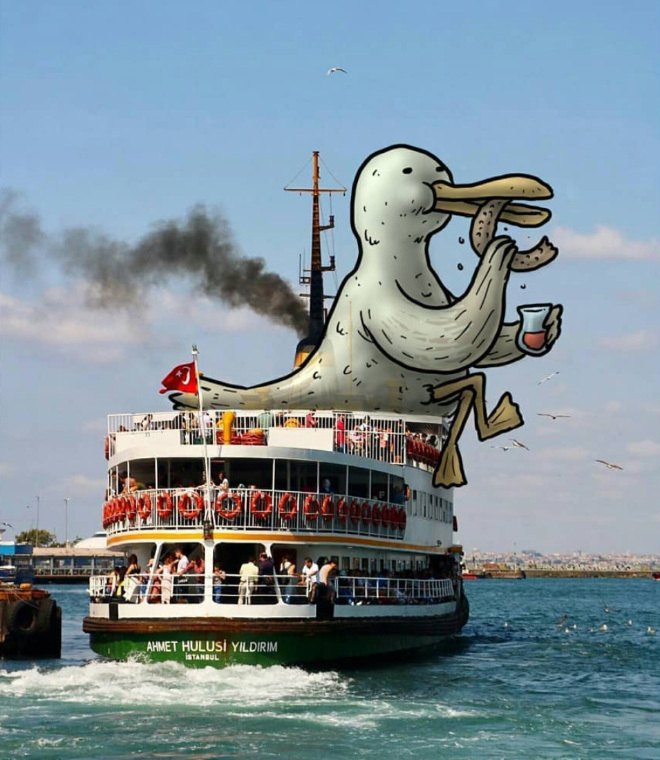 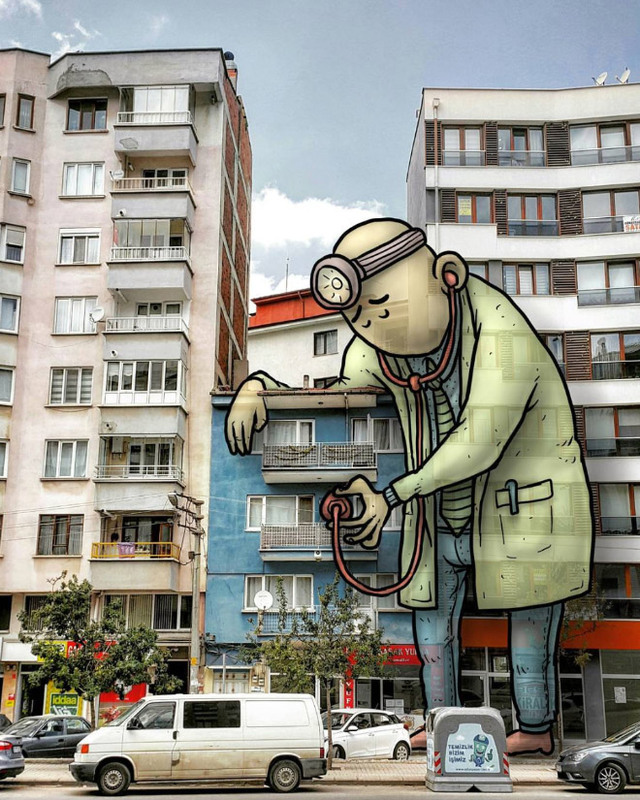 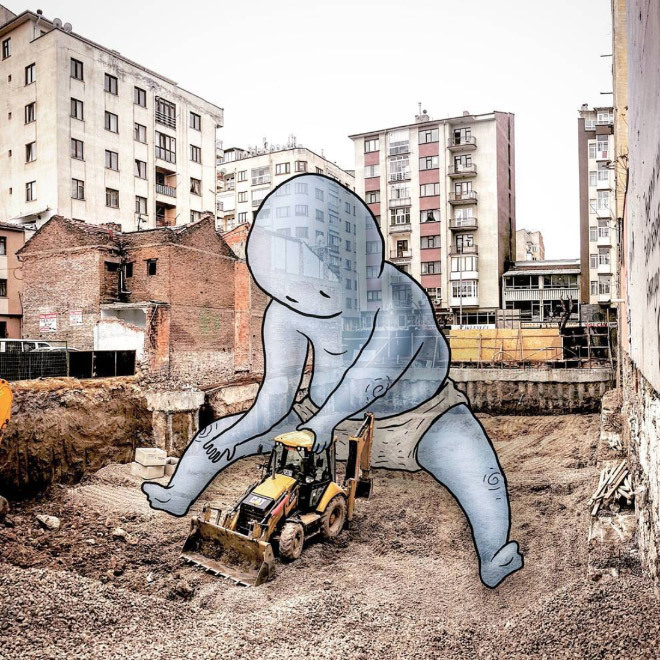 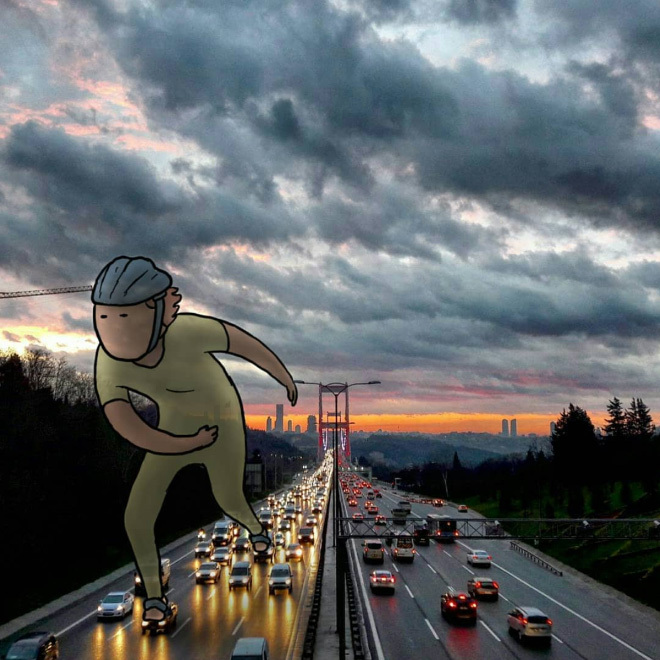 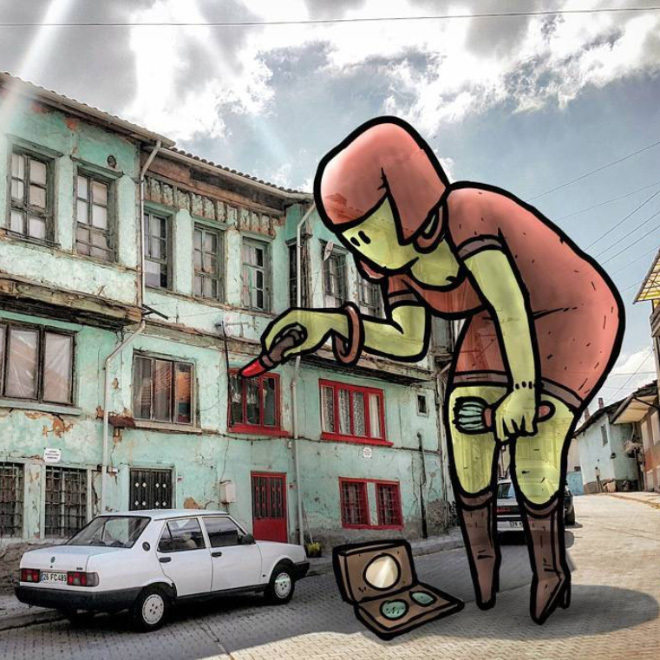 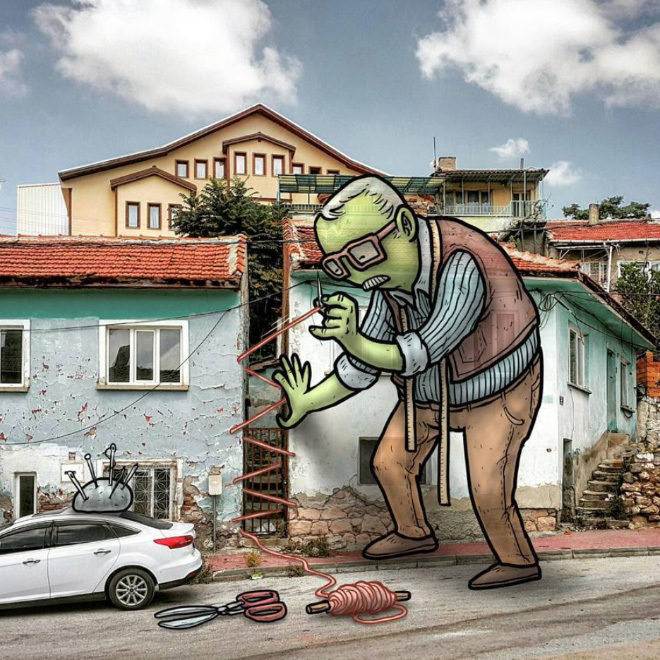 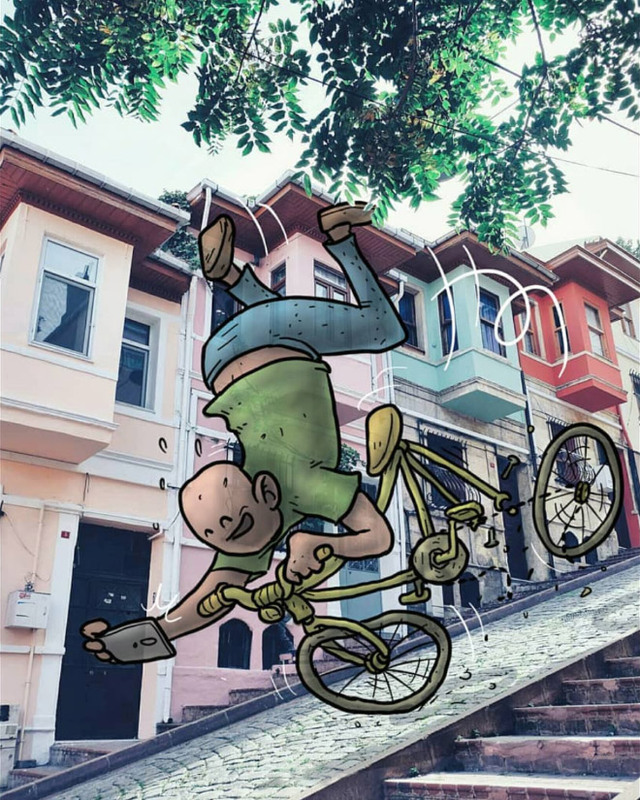 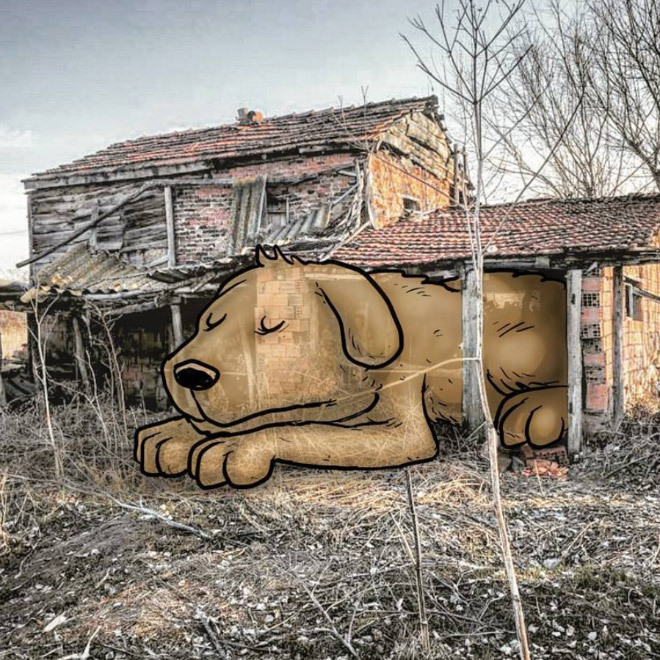 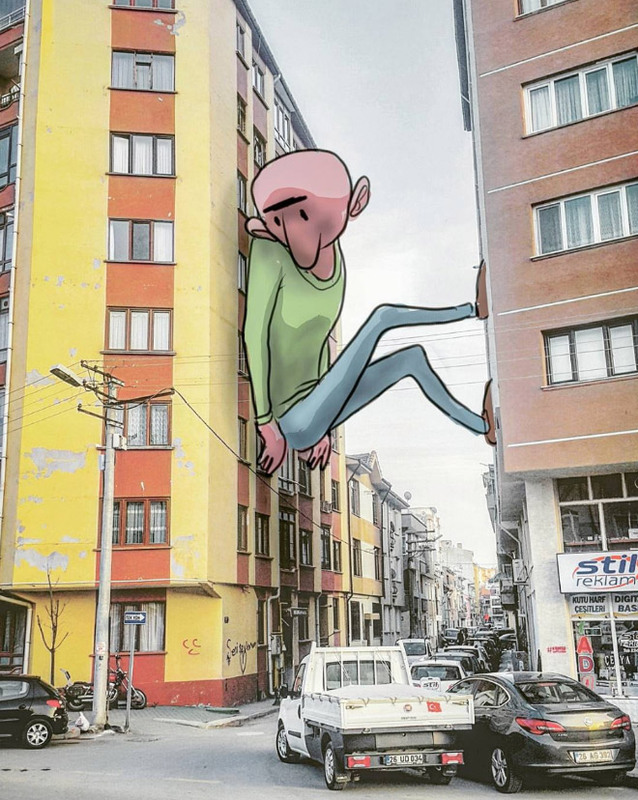 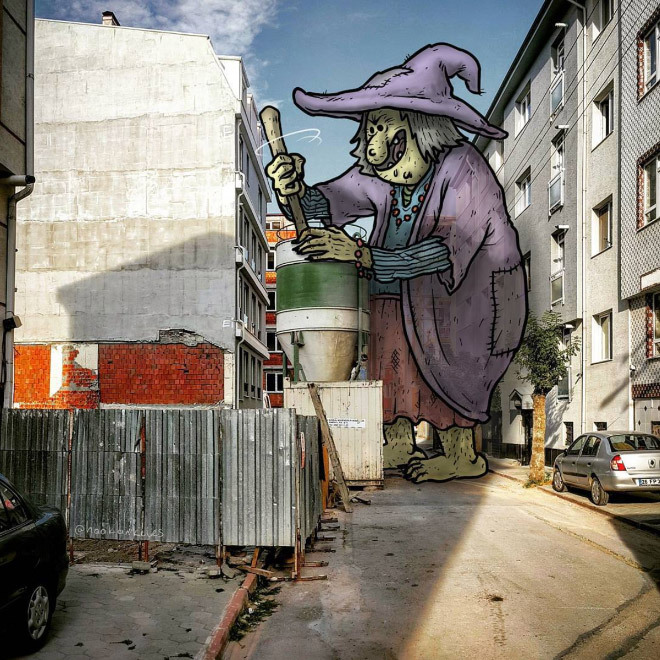 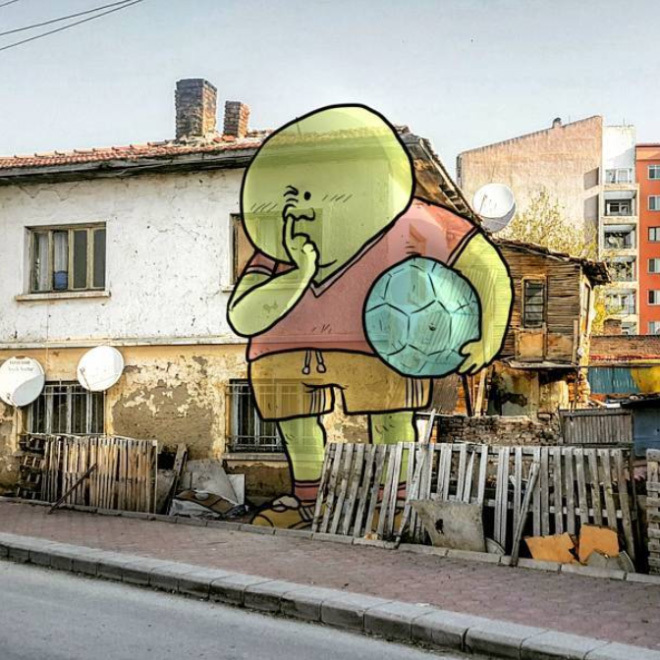 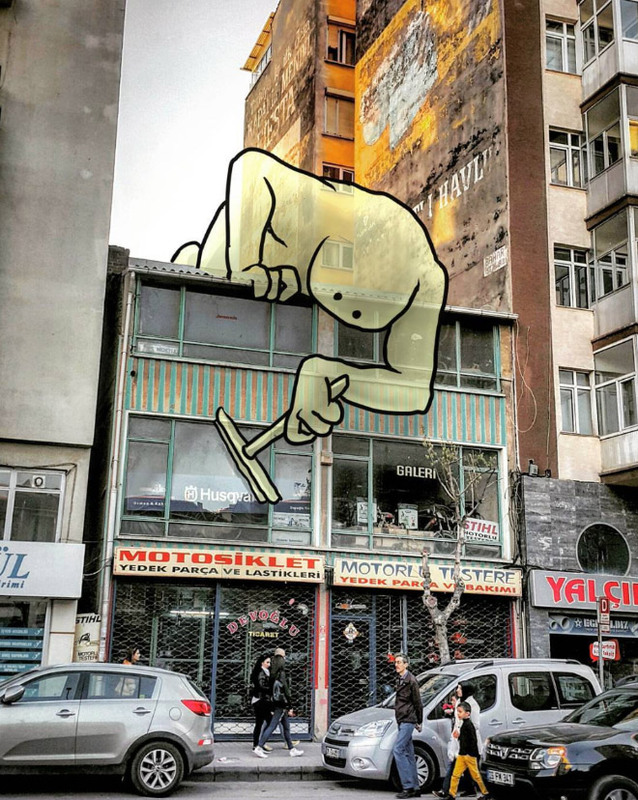 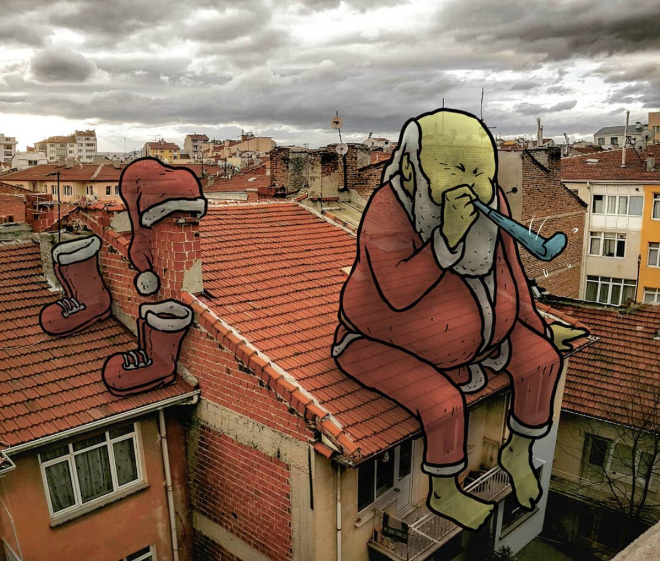 Hakan Keles, an architect and illustrator from Turkey, draws giant characters on pictures of streets that he took with his smartphone. 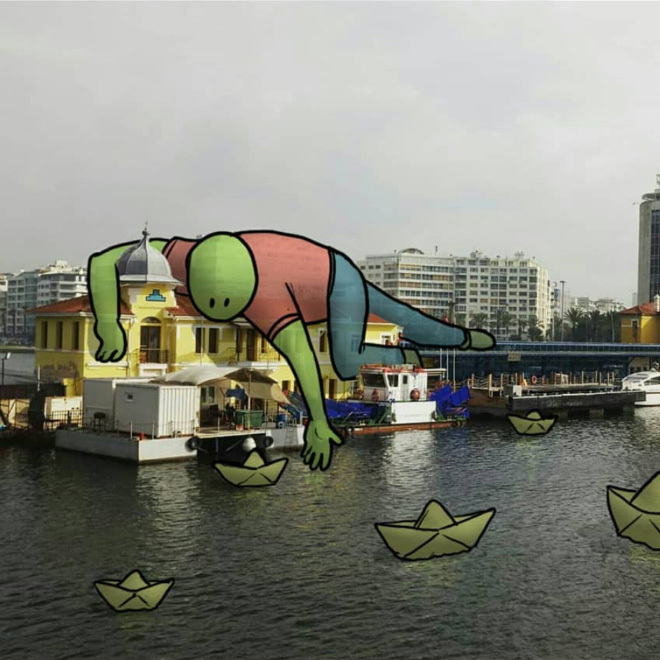 He named it “Lilliput series”, based on the novel Gulliver’s Travels: A Voyage to Lilliput. 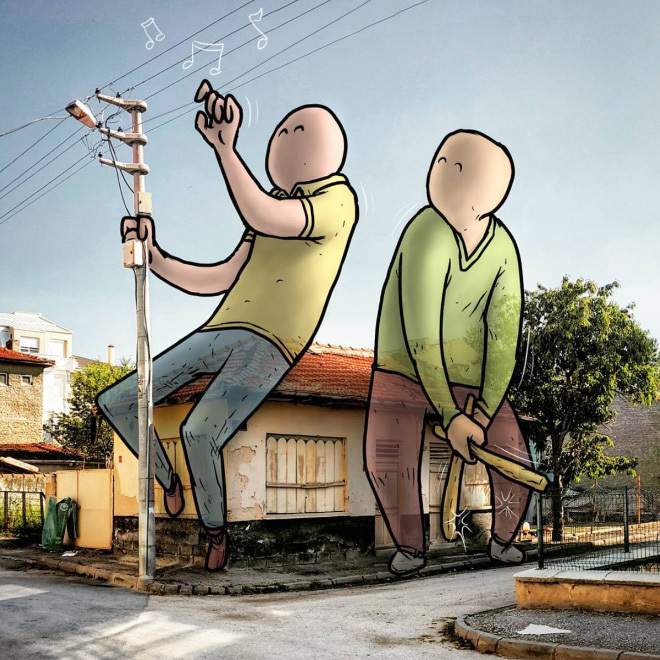 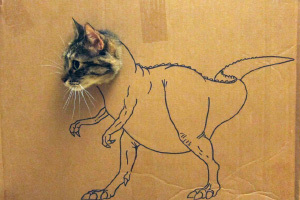 Check out his creative artworks below.